Home / Columnists/ Why did voter behaviour change on 10 Feb? 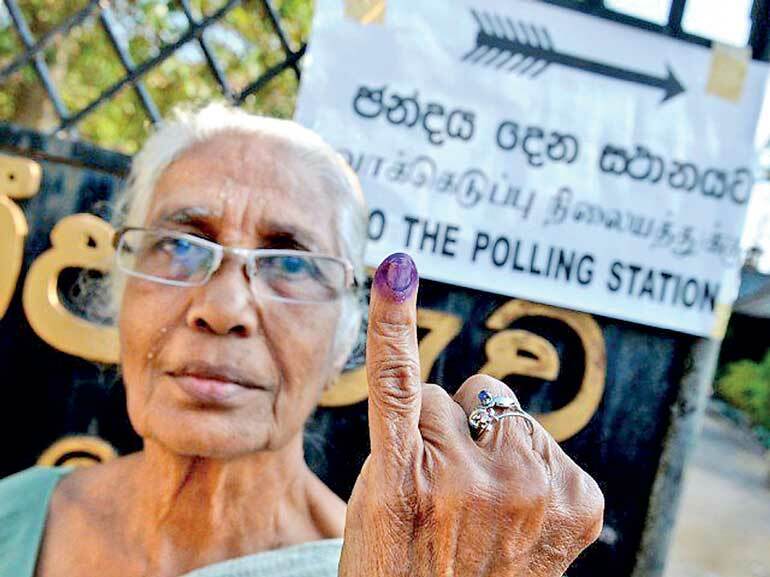 What Sri Lanka saw on 10 February, 2018 will go down in history as a show of the ‘power of a Sri Lankan voter’. A typical Sri Lankan may look submissive, quiet, and gentle but they are decisive and are change agents. We saw this on 15 January, 2015 and again on 10 February, 2018. We have seen this consumer behaviour many times in brand marketing. Walls ice cream is a classic example in Sri Lanka. Over Rs. 2 billion was invested by the company on promotional work but given that the product was not in line to consumer needs, the global brand was rejected by the Sri Lankan consumer. The same manufacturing plant was bought by another company and the marketing mix was adjusted to suit a Sri Lankan requirement and today, the brand Cargills has over a 30% market share with just a fractional marketing spend that was invested by the Walls brand. This is the power of the Sri Lankan consumer. We are not an extension of South India. We are very different to an East Asian with clear preferences in taste and choice. 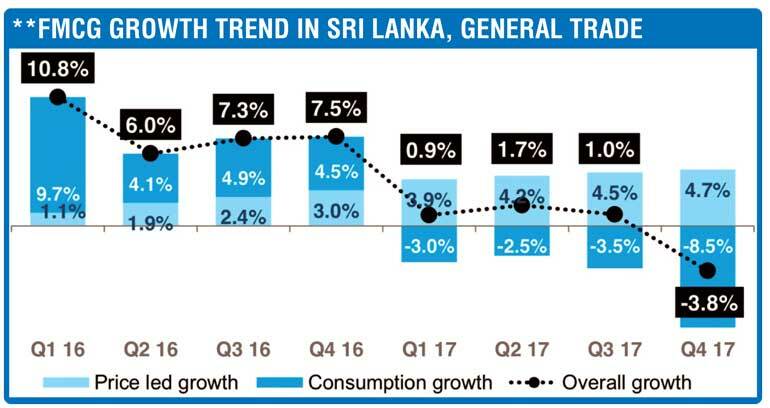 If we do a reality check of a Sri Lankan consumer purchasing, as per AC Nielsen the overall consumption has dropped in the whole of last year in succession (quarterly) – the first quarter by -3%, the second quarter by -2.5%, the third by 3.5%, and in the final quarter of 2017 by -3.8%, which means the situation is continuously deteriorating. Even though this has been highlighted at many forums, there has been no correction strategy from the policymakers. Hence, in my view, the high voter turnout where people came after weddings and in boats to cast the vote on 10 February, 2018, was an indication that Sri Lankans wanted change. Rhetoric like free Wi-Fi by the brand head of the UNP in Musali was a classic case in point of the leadership not understanding the consumer reality. I guess it is a lesson for business too that understanding the perceptions and attitudes of a consumer based on their consumption is key to sustainable business. If one does a deep dive, we also see that if we analyse the consumption patterns in the household, food and personal care segments, the same phenomenon exists across the country. The red flag from a Sri Lankan consumer is very clear. The consumption has dropped in the personal care segment on a quarterly basis. From a -3.9% in quarter one to - 5.5% in quarter two, whilst in quarter three to -5.4% and in the final quarter of 2017 it touches a -6.1% which was very serious given that a typical consumer is constant when it comes to personal care lifestyle. I guess a similar analysis should be done on other sectors like consumer durables and industrial product categories to understand why such a drastic behavioural change was seen on 10 February, 2018. One key reason coming out is obvious – disposable income dropping. If we move to the 10 February election result, some key points emerge from a consumer behaviour point of view. One of them is how much a brand can be stretched. The logic being that in just three years, brands selected at the presidential election, brands selected on 8 January, 2015 and general elections in August 2015, have lost their flavour and competitor brands (that was disposed on 8 January, 2015) was selected once again by a consumer. It will be interesting to find out if the brand power of Mahinda Rajapaksa moved consumers or whether it was the product attributes like cost of living, corruption etc. that moved voter behaviour. Some are speculating the behaviour demonstrated on 10 February, was a protest vote against the current Government. This can be researched by a brand equity study typically in marketing. It will be interesting to find out. Another interesting behaviour pattern seen on 10 February was that the brand that faltered across the country (UNP) has been picked up in Colombo. It is very clear that the consumers of Colombo make purchase decisions on a different parameter to the rest of the country. Democracy, freedom of media, equality in front of the law can be strong triggers that induce brand selection in Colombo whilst out of Colombo will be more basic criteria like cost of living, roads built etc. I guess. Hence, making decisions on the market sentiments of Colombo will be inaccurate. We see that a typical rural consumer, who is almost 80% of Sri Lanka, had a mindset that is totally different in nature. Hence the product offering to this consumer group has to be very different to Colombo. A key point to note is that the theory SOV (share of voice) = SOM (share of mind) = SOMkt (Share of market) does not hold ground when it comes to a Sri Lankan voter. The people who were vociferous on the media (talk shows and on stage) in the current coalition Government have lost their seats. A classic example is Attanagalle (Chandrika Kumaratunga), Kalawewa (Duminda Dissanayake), Tangalla (Mahinda Amaraweera), Beruwela (Rajitha Herath), Kotte (Harsha Perera), Tissamaharama (Sajith Premadasa), Moratuwa (Eran Wickramaratne), Panadura (Mahinda Samaraweera), Hali- Ela (Dilan Perera), Kaduwela (Sujeewa Senasunghe) just to name a few. All these geographical areas were campaigned by the heavyweights on media but could not garner voter support. What it means is that the Sri Lankan consumer is not just media driven but they think and analyse before making a purchase decision (in this case giving a vote). A point to add is that a typical Sri Lankan may not be very vocal or vociferous in their external behaviour but they are prepared to take serious decisions and instil change. Moving away from the consumer dynamics (in this case the voter behaviour) and evaluating economic policy, we are faced with an interesting challenge. The concept of the people of a country repaying the country’s debt as opposed to taking loans internationally to repay debt, are two different schools of thought. Whilst the former was practiced by the current Government, the latter was practiced by the earlier regime. Whilst the country’s total debt is around $ 10 billion, there are merits and demerits on each of the above strategies. Maybe it will be interesting analysing how other countries with a similar debt situation handled the payment modality. This study can also give an insight to what the strategy should be for Sri Lanka in the future. Be that as it may, one of the root causes for the change of voter behaviour was the increasing taxes due to the debt that accumulated in the last 10 years and hence the impact to disposable income. The corruption issue of the Bond scam may have added fuel to the fire that moved Sri Lanka voters to a drastic decision. In terms of what next, from a political front, I guess within this week the dynamics will unfold. The media reports that there will be significant changes, but from the international end, the future of the FTAs (free trade agreement) route to economic development and selling of state assets to India and China to meet the debt repayment might take a backseat. It will also be interesting to see the international reaction to the changes brought on by the people of Sri Lanka on 10 February, as there were many reports that certain foreign governments were responsible for the regime change that happened on 8 January, 2015. I guess time will reveal it. The author is an award-winning business personality in the private sector and been the chairman of three large state corporations in the country. The thoughts are strictly his personal views and do not reflect the views of the organisations he serves in the private or public sector.